Six-hand chronograph with silver tone stainless steel case and black leather strap. 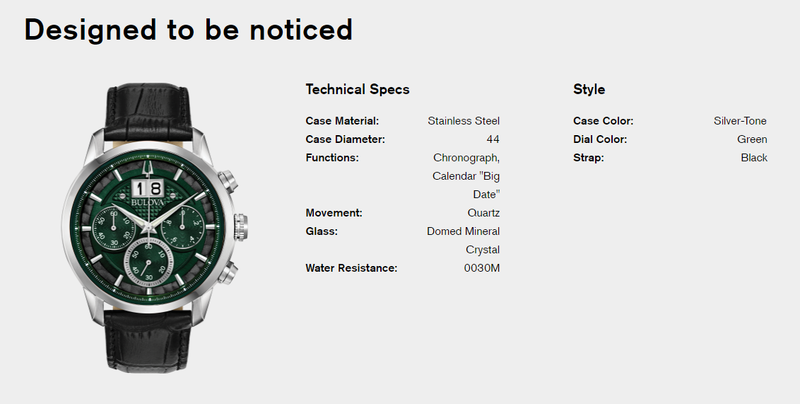 Deep forest green and black dial, featuring an oversized date window at the 12 o'clock position. Watch features a domed mineral crystal, quartz movement, and water resistance to 30 meters.